A spring break trip to Arizona gave the Madison College men’s baseball team its first chance to get some games in this season. Although the 4-8 outcome wasn’t what some might have anticipated from the perennial powerhouse, it might not be an accurate gauge of what to expect from the WolfPack this season. A year ago, Madison College had seven losses on its Arizona trip and ended up with a 42-12 overall record and another trip to the NJCAA Division II World Series. Chris Lund, Nate Schmidt and Drew Steinmetz led the team on offense during the Arizona trip. Lund batted .462 with one home run, two triples and three doubles. Schmidt hit .500 with eight hits in 16 at-bats. Steinmetz hit .375 with nine hits in 24 at-bats. A total of 14 players got time on the mound for the WolfPack in those 12 games. Alec Haluzak led the way, earning two victories and posting a 1.54 ERA in 11.2 innings pitched. He allowed just two runs on eight hits. Brandon Parr went 1-1 with a 2.45 ERA, allowing three earned runs on seven hits in 11 innings. Parr struck out 14 batters. Madison College resumes play on March 24, when it travels to Kishwaukee College for a doubleheader. 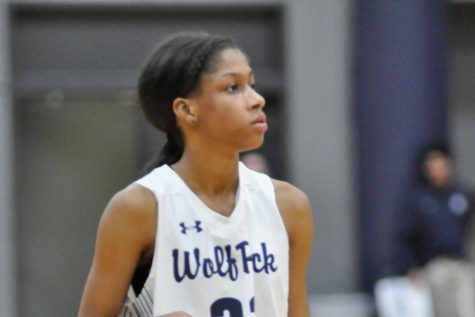 The WolfPack’s first home game comes on April 3, when it hosts Milwaukee Area Technical College in a doubleheader. An 8-run second inning gave Gateway Community College all the scoring it would need in a 12-5 victory over Madison College on March 18. Madison College rallied with five runs in the fourth inning to pull within 10-5, but didn’t score again. Center fielder Nick Kanavas had three hits to lead Madison College, while Schmidt added two hits. Trevor Tunison had three RBIs to lead the team. Despite seven hits in the game, Madison College was unable to score after the third inning in an 8-1 loss to Gateway College in the second game of a doubleheader. Simon Maurice was the only WolfPack player with multiple hits, going 2-for-3. Madison College scored early and often in its 16-5 victory over Williston State College on March 17. By the middle of the fourth inning, Madison College held a 7-0 lead and never looked back. Lund hit a home run and a double to lead Madison College’s 11-hit attack. Ian Parentice added a triple. Brandon Parr pitched the win, holding Williston to three earned runs on four hits. A six-run fourth inning helped Madison College defeat Williston State College, 7-4, in the second game of the doubleheader. The game featured Nate Schmidt stealing home on a double steal in the second inning. Ty Jandrowski started things off for the WolfPack in the fourth inning with a solo home run, the first of his career. Drew Steinmetz and Kanavas each had two hits to help lead the WolfPack. Haluzak pitched the win, giving up one earned run on five hits. A stellar effort by Derek Heffel and a two-run error by Seminole State College gave Madison College a 2-1 victory on March 16. Heffel allowed an unearned run in the first inning and then pitched six scoreless innings for the win. 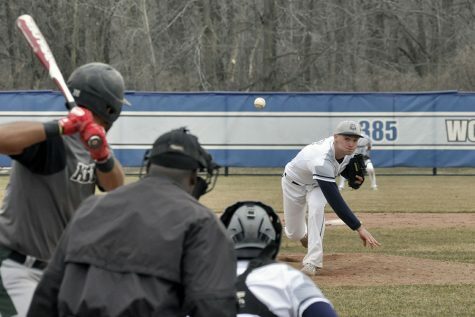 Despite having nine hits in the game, Madison College needed a little help to win. That came when Seminole State College attempted to throw out a runner at home after fielding a bunt. The catcher’s error allowed two runners to score. After rallying to tie the game in the top of the seventh, Madison College allowed a walk-off single with bases loaded to lose to Central Arizona College, 3-2, on March 15. The loss spoiled a strong effort by starting pitcher Clayton Uselman, who allowed only one earned run on five hits in 5.2 innings. Madison College was held to just three hits in the game. Madison College fought back-and-forth with Central Arizona before allowing five runs in the bottom of the sixth inning in an 11-7 loss in the second game of the doubleheader. Lund and Ryan Makuski led the offense, with each going 2-for-3 at the plate with two runs scored. A close game grew lopsided late as Glendale Community College scored seven runs in its last two innings to beat Madison College, 10-3, on March 14. The WolfPack had 11 hits, including three by Schmidt. Kian O’Brien went 2-for-2 with a double, while Kanavas walked twice and hit a triple. Madison College scored 10 runs in the last two innings to beat Dakota County Technical College, 12-1, on March 12. First-year pitcher Alec Haluzak earned his first career with with a three-hitter. Ryan Makuski had two hits and a team-high four runs batted in. A sixth-inning run spoiled a pitching gem by Brandon Parr as Madison College fell, 1-0, to Scottsdale Community College. Parr allowed one unearned run on three hits in six innings. Scottsdale scored its run on two hits and two Madison College errors. Madison College scored in five innings, but just didn’t score enough runs in those innings to avoid a 10-6 loss to Scottsdale Community College on March 11. Lund led the WolfPack with three hits, scoring three times and driving in one run. Drew Steinmetz and Ronnie Cross both added two hits as part of the WolfPack’s 11-hit effort. 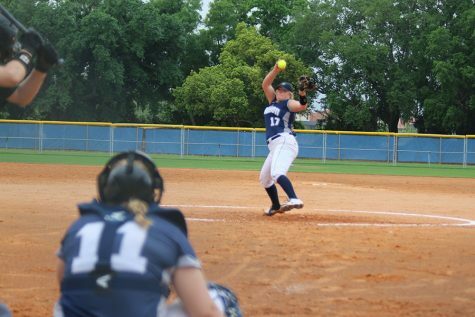 Madison College allowed eight runs over the final three innings to lose to Paradise Valley, 10-3, on March 10. Bryce Plate was a part of all three runs scored by the WolfPack, finishing with four hits in five at-bats. He hit in two runs and scored the other.